With the release of Blender 2.79 the popular and free DCC suite features much faster AMD OpenCL path tracing code and feature parity with NVIDIA CUDA. 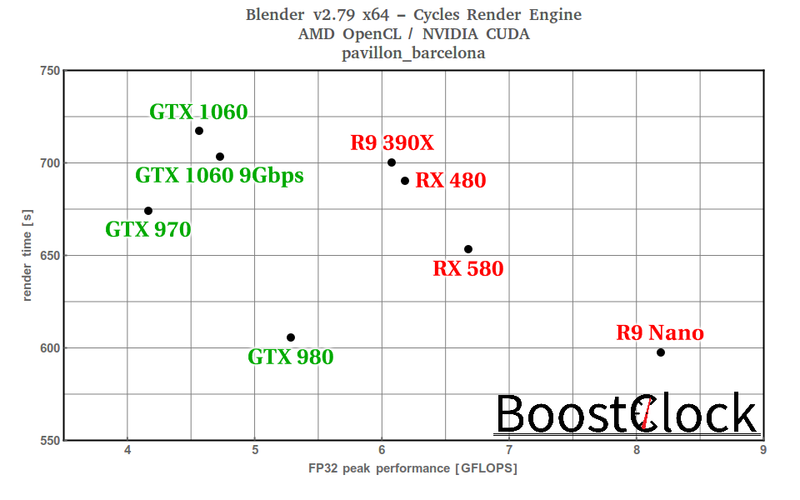 Since Blender 2.75 a new approach (split kernels, OpenCL pipes) is implemented in Cycles to remedy compilation and performance issues regarding AMD cards. 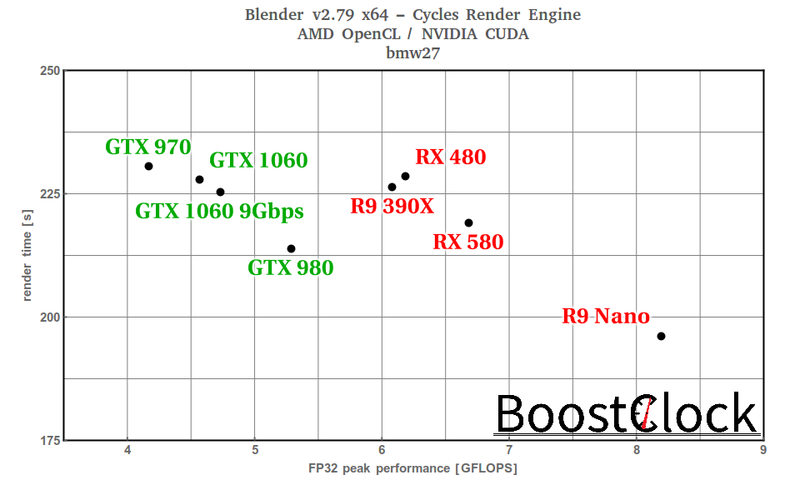 AMD continued work with the implementation means that Radeon dGPUs' performance is on par with similarly positioned (price & performance) GeForce cards in the latest iteration of Blender. 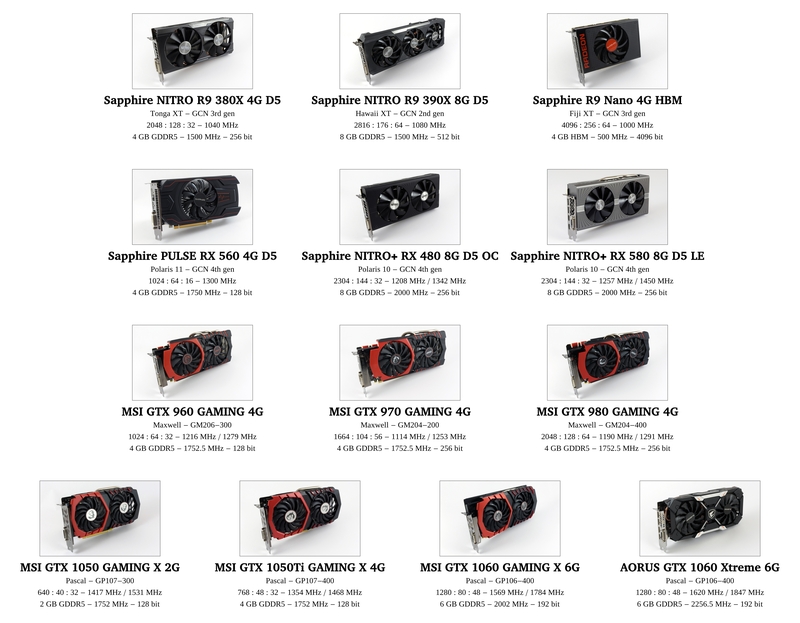 It's important to highlight that only GCN1.1 and newer AMD dGPUs are supported. To test Blender we picked 3 scenes from the Blender Institute-prepared benchmark pack. The cards are divided into 2 groups based on their performance. The final score covers only pure path tracing time - no OpenCL kernel compilation, scene loading, CPU-side BVH construction, final composition. Blender was launched headless (no GUI) with a python script responsible to get everything sorted and start the rendering process. 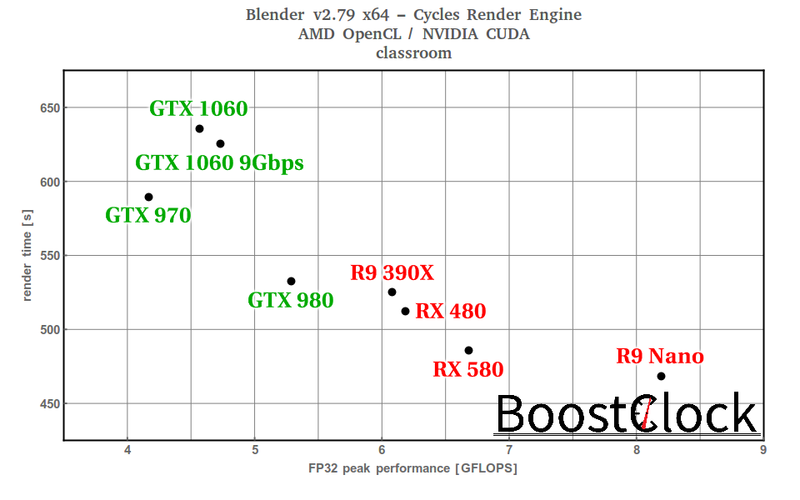 All in all, it's great that now Radeon users can fully utilize their dGPUs in Blender. Hopefully, these sort of improvements can find their ways into software in a more timely manner - Hawaii-based dGPUs made their debut in late 2013.